First visited September 10th 2010. You might very well walk past without giving it a second glance; save for the fact a Lotteria is nestled in one corner. From the somewhat clumsy building amidst a sprawling melee of hotchpotch architecture, reminiscent of pre-1988 Korea, you might not expect to be impressed. 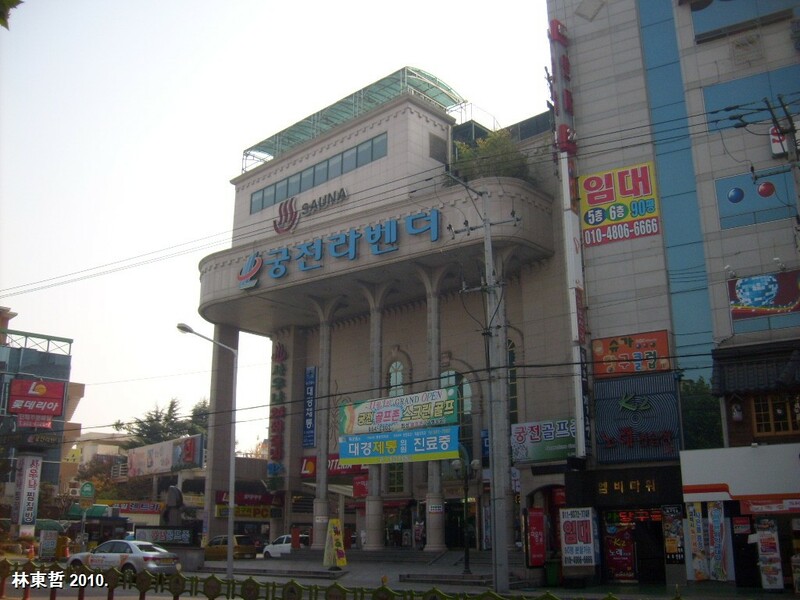 However, Goong-Jeon Lavender Jjimjilbang, close to Dong Daegu railway station, is not only one of the largest bathhouse I have visited but one of the richest in character and interest. When leaving the elevator and entering the changing rooms, Goong-Cheon Lavender certainly spoils the visitor with space and the reception area, with a snack bar fronted by cute, if not bizarre pink, white and gold baroque imitation tables and chairs, occupies an area the equivalent to that of many other changing rooms. An atmosphere of spaciousness and intrigue is imparted before one has even collected their locker key. 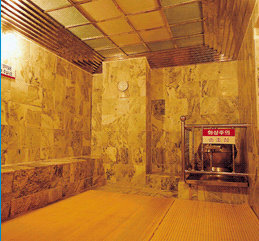 Access between the bathhouse and changing area is via large ramps and on entering the bathing complex you are confronted with a very large showering facility with stand-up showers organised in a multitude of partitions around the periphery, and an army of seated showers relegated to the centre. I usually count shower units but on this occasion there were simply too many and besides, the blue glow emanating from pools beyond the shower area, were demanding my exploration. In the distance, at the far end of the complex, I was attracted to the large ‘cave bath’ (동굴), the water of which was shimmering on the cave roof. On the partitions between the sit-down showers, between which you walk to reach the pools, large crystalline ‘stones,’ appear to be lit from beneath, added to the subterranean atmosphere. 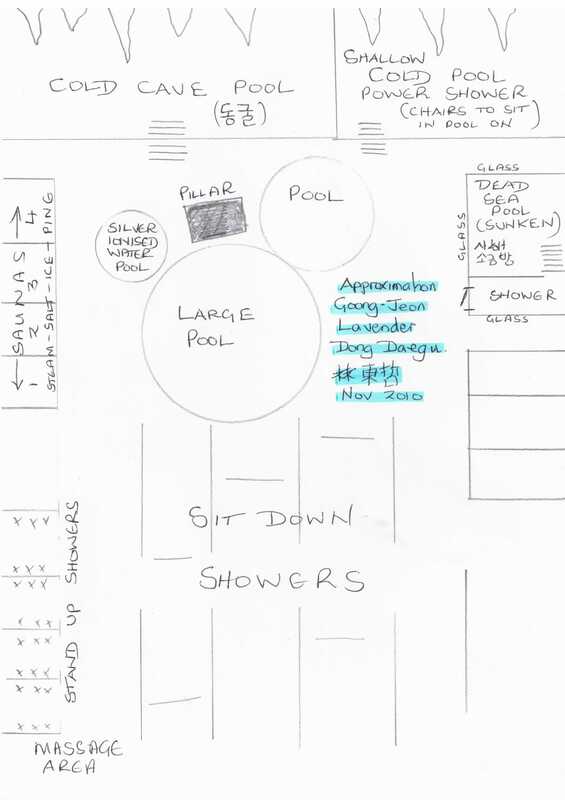 Three pools occupy the area before the ‘cave feature’ with various smaller pools on one side and four saunas on the other. The largest pool is a round warm-water pool but my favourite, located almost in one corner and portioned by glass, is a Dead Sea salt bath (사해소금방). 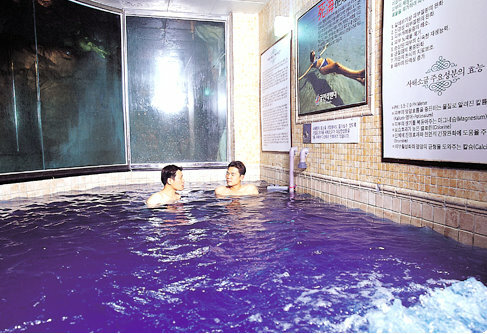 The water is dark blue and the high salt content certainly made my body more buoyant. Among the four saunas were, a steam sauna, and a salt sauna all constructed from either jade or some other ‘well-being’ material. 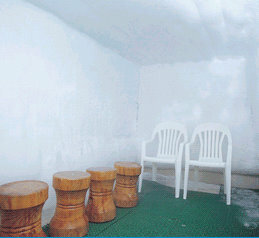 There is also an ice room. However, the central feature of Goong-Cheon Lavender, are the two pools at the head of the pool complex which are designed like caves. Small windows provided enough light for real ivy to grow from the ‘rock formation’ walls and from the ceiling hang impressive, realistic stalactites. Both pools are cold, more suited for hot weather and one has a number of power showers useful for massaging an aching back. Non-invasive lighting, various scents from the saunas such as rose, pine and mugwort plus beautifully soft and fresh smelling towels all enhance the atmosphere and though there is a television in one sauna, which is piped into other rooms, levels of noise are low. Numerous pools also use silver ionised water which is subsequently microbe-free. Goong-Cheon Lavender also boasts sporting facilities, including general fitness, weight training, yoga and golf as well as a jjimjilbang equipped with various ‘jewellery’ rooms. 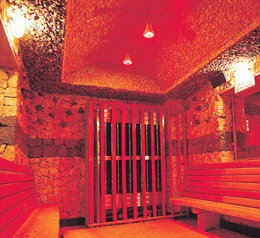 Similar to the bathhouse saunas, these are rooms constructed out of stone or metal with ‘well-being’ qualities. A roof garden is also accessible from the jjimjilbang. This is an impeccably clean and exciting complex to which I was welcomed in English. 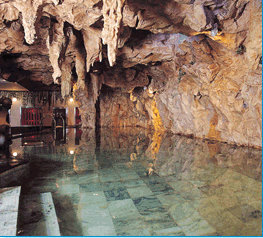 There is much to explore and the size, atmosphere and unique bathing experiences make this a great venue to relax. My only criticism… there were no bats! Others – hairdressers, massage and rub downs, parking, cafe..
Ambiance – very relaxing and friendly. I enjoyed my visit Goong-Cheon Lavender. It was really easy to get to from DongDaegu station. The taxi driver understood my right away. I especially like the pool where you can sit down and have high-power water jets massage your back from above. The water isn’t freezing cold and there are chairs provided so its great for the shoulders and back. The ‘black sea’ pool was also quite unique and it was relaxing although I didn’t notice any extra buoyancy effects. Well worth a visit.